OneRooftop Client TheGionHouse.com Featured in Lonely Planet Japan! The Gion House is also featured on InsideKyoto.com, an online guide to Kyoto written by Chris Rowthorn, an author for Lonely Planet. The post includes a description of the house and a link to its website. The link creates even more traffic and bookings for Chris, not to mention added SEO juice that helps the site’s search engine rankings. 1. Vacation Rentals Owners can compete with hotels! There is proof, right there in Lonely Planet. A vacation rental by owner is listed next to some of the best hotels in Japan. The blogger also notes “For those who want to the convenience of a vacation rental while in Kyoto, you won’t do better than one of the units in the stylish Gion House.” More and more people are realizing the unique benefits of a vacation rental. 2. A personal vacation rental website is an absolute necessity to create a brand. 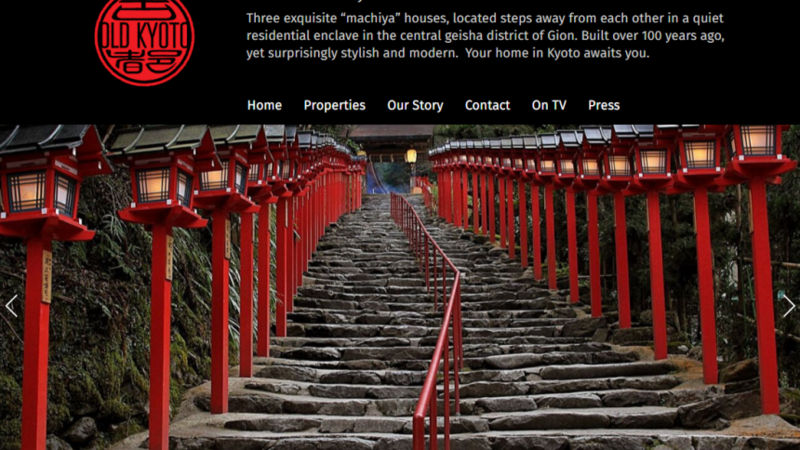 Lonely Planet required a website for The Gion House to be considered in the book, rather than just a link to a listing or a VRBO number. While the owner also advertises on VRBO, his personal website is where he can create a memorable and distinct brand for his vacation rental business. 3. Great service and a great vacation rental can create buzz that turns into bigger things. Because Kyoto is a small community, the Lonely Planet writer learned through word-of-mouth about the “impeccably decorated” Gion House. This word-of-mouth buzz was all it took. These days people talk online, whether is in online forums or on Facebook or Twitter. Word of a spectacular product and equally spectacular service can travel quickly and travel widely. Remember, when one guest has a great experience, they will tell friends and family and the effect will be multiplied.